Mission Repair has an exciting announcement! Of course our main Service Location and Corporate Offices remain in Olathe, Kansas, and Mission Repair Express in Mission, Kansas are open for you as well. 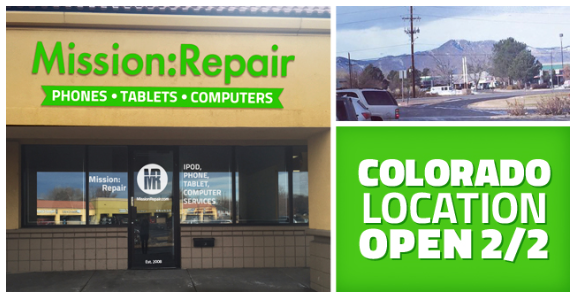 The Lakewood, Colorado store will be open on 2/2/15 at 8:00 am MST, so come help us celebrate the big move! Oh yes, our phone number is the same: 866-638-8402. We look forward to seeing you there! Grand Opening festivities to be announced soon.